The Trailblazer mission is to prove the reliability and robustness of a Space Plug-and-play Architecture (SPA) based satellite in a space environment. Trailblazer will also show the ease of modifying current COTS parts to function on a SPA network. 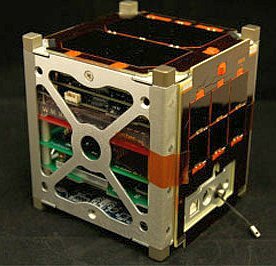 The satellite consists of a 1U CubeSat structure and COTS parts, modifed to be SPA compliant. In addition to the main mission, Trailblazer will also contain a SPA-1 Dosimeter to measure the effects of the South Atlantic Anomaly and a SPA-1 rapid prototyped analog to Digital Converter (ADC) control board to test new advancements in 3D PCB design for space applications. Trailblazer has three missions. First is to provide a proof of concept to SPA. Second is to provide flight heritage and receive radiation exposure measurements from a dosimeter designed by COSMIAC in partnership with the Air Force Research Lab. Finally, Trailblazer will be providing a space qualification platform for an exciting additive manufacturing technology designed by the University of Texas El Paso. The SPA-1 data transfer protocol is based on 400 kbit/s I2C making it the lowest power, and lowest bandwidth option for SPA. Given the power constraints of typical satellite architecture, it is generally advantageous to interface devices/modules which do not require high data transfer rates to a SPA network via the SPA-1 Applique Sensor Interface Module (ASIM). This ASIM is logic that enables SPA Plug-and-Play for hardware components. It contains all the information needed for the system to automatically discover and automatically configure the hardware component. SPA-1 ASIMs can be any microcontroller that supports I2C and has enough memory to contain the needed logic. allows modules to be directly integrated into another SPA bus design without modification. Completely SPA-1 based the design consists of three modules: a command and data handling system (CDH), a radio module, and a power module. Since these modules are all SPA-1 components, the satellite can be formed with a single four wire harness. Much of the satellite is empty space, and it does not do anything useful except to transmit a beacon signal, but serves to illustrate just how simple a satellite can be (if not simplistic) using a SPA methodology.